Develop and integrate thermal control systems for spacecraft and instruments; verify resulting designs through analysis and thermal vacuum testing. Provide thermal engineering support from concept through the design, integration, and test programs and flight operations. Conduct vigorous research and development programs directed toward advancing the state-of-the-art in spacecraft thermal control technology; conduct laboratory and in-orbit test programs as required to demonstrate viability of these technologies in their intended applications. Provide technical oversight, evaluation, consultation, and support to flight projects, instrument developers, design review teams, failure analysis teams, technical evaluation panels, and source evaluation boards. Develop and assess thermal software packages. Develop software which fosters concurrent engineering practices. 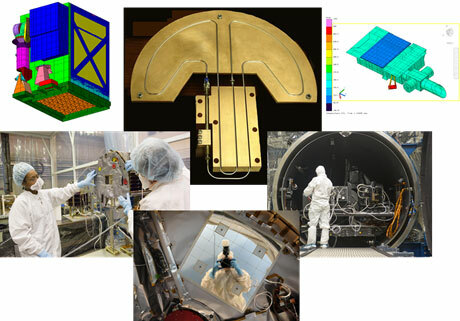 The Thermal Engineering Branch supports NASA missions through thermal design, analysis, integration, testing and flight operations.